Transported by a time machine – bicycling back to old times in Melbourne. A simple bicycle journey took me back 28 years. And at the same time it helped change my negative reaction to 21st century Melbourne. Before arriving everyone who has been to Melbourne in recent years told me “You’ll be amazed how much it has changed”. 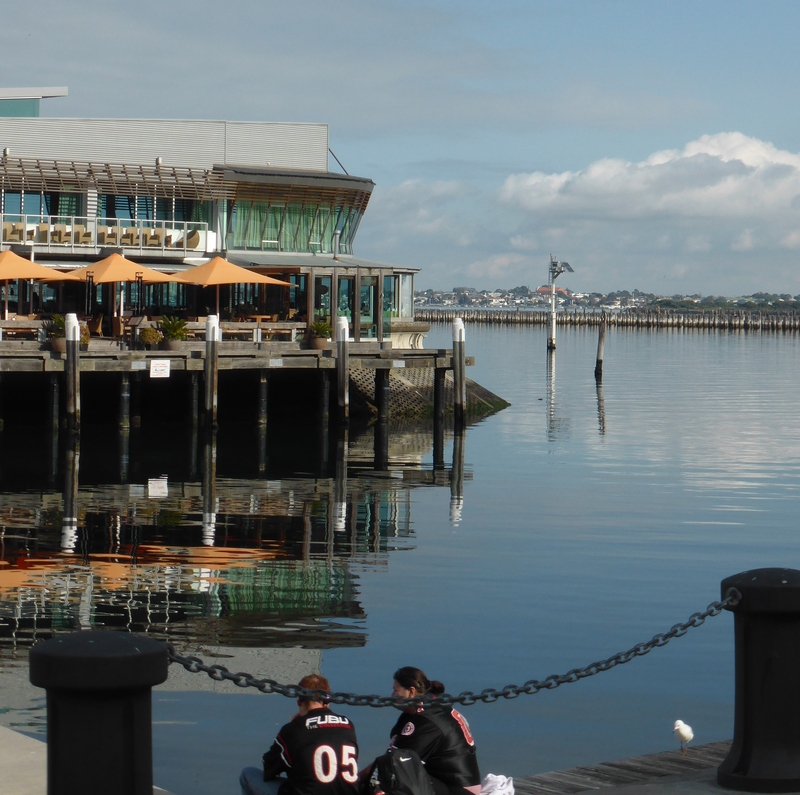 I cast an interested eye over media and travel stories from Melbourne and I sensed that the city had successfully regenerated itself, especially acclaimed developments on the south bank of the River Yarra which had opened up a neglected city zone. I guess gentle Adelaide was a bit of a false introduction to today’s Australia because on arrival in Melbourne I was shocked by the new freeways, the link roads, the intrusiveness of the new city centre buildings and above all else by the traffic. And when we reached our friend’s house we took a walk down to our old haunts of Chapel Street but they no longer felt like a friendly environment of cafes and small shops but a wall-to-wall temple of consumerism and never-ending traffic, even on a Sunday. I couldn’t even cheer myself up by playing “When I see an adult on a bicycle I do not despair for the future of the human race” because I didn’t see any cyclists and only a few lonely bikes chained up to lamp-posts – never a good sign. (close to “desert” on my “Utrecht” cycle parking scale). My gut reaction was really negative. 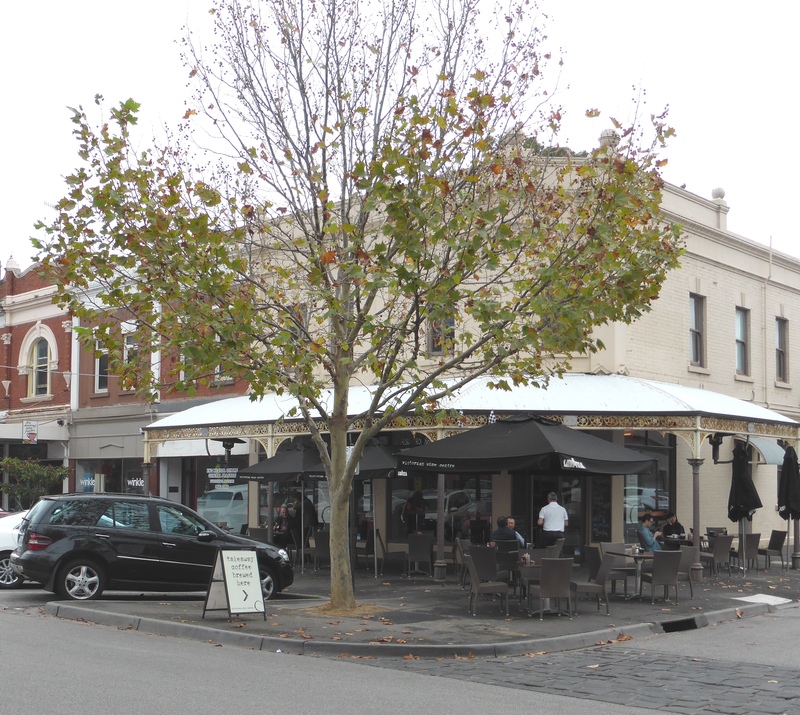 What had become of the Melbourne I so enjoyed? Was it crushed by cars and buildings? So I needed a pick-me-up. The way to do that was to take a tram up to the city, hire one of Melbourne’s public hire bikes and set off towards the area I used to live to see if the beach-side suburbs had survived the so called “improvements”. I started from the bike hire at Federation Square and quickly picked up the car free restaurant and café areas of the South Bank which were obviously colourful and vibrant and a huge improvement on the past. 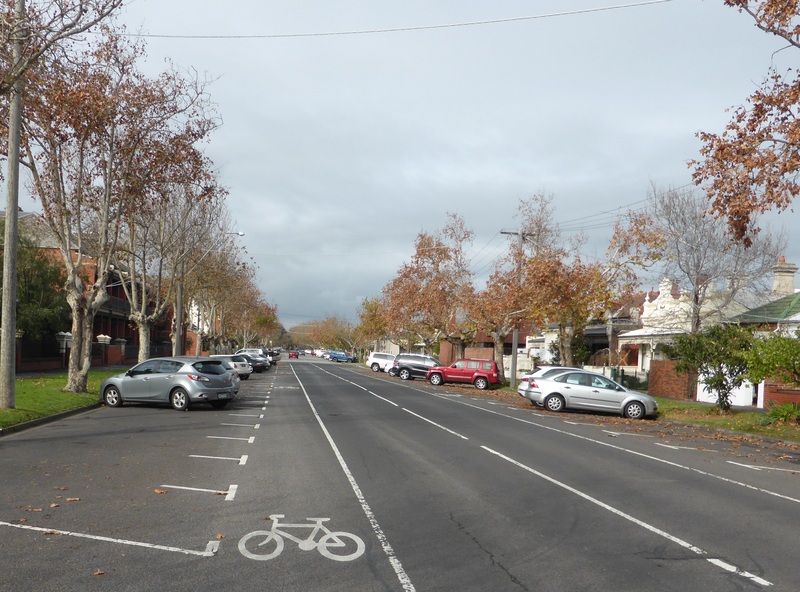 Then I managed to pick up a shared use path which followed the tram route out to Port Melbourne. When I popped out on the sea front in front of the ferry terminal it was clear that a more low-key gentrification is in progress here too with more refurbishments and new buildings, but on a human scale. On cue the sun came out and a hazy tranquillity descended over the sea. Much better! After a brief pause I set off south along the Bay cycle paths I had also heard so much about, the ones I wished had existed years ago because then I wanted to ride by the sea but was never able to find a continuous attractive route. Within minutes I reached Kerford Road Beach and the years just dropped away. This was instantly recognisable. And so, so, peaceful, even the few cars cruising along the beachfront road could not hide the fact that this is an oasis of calm just a short distance from the city centre. After soaking up the atmosphere I swung away from the beach to the residential streets where I once lived to discover an even more remarkable throwback. I am not sure what planning regulations protect this area but it was as if the neat rows of single story houses with their picket fences and verandas were unchanged from the 1930s, never mind the 1980s. The fact that nobody seems to have been allowed to knock them down and rebuild keeps them all low so the sense of huge wide streets is retained too. It was deathly quiet, I could hear the children in the primary school and the rattle of the Middle Park tram a street away. 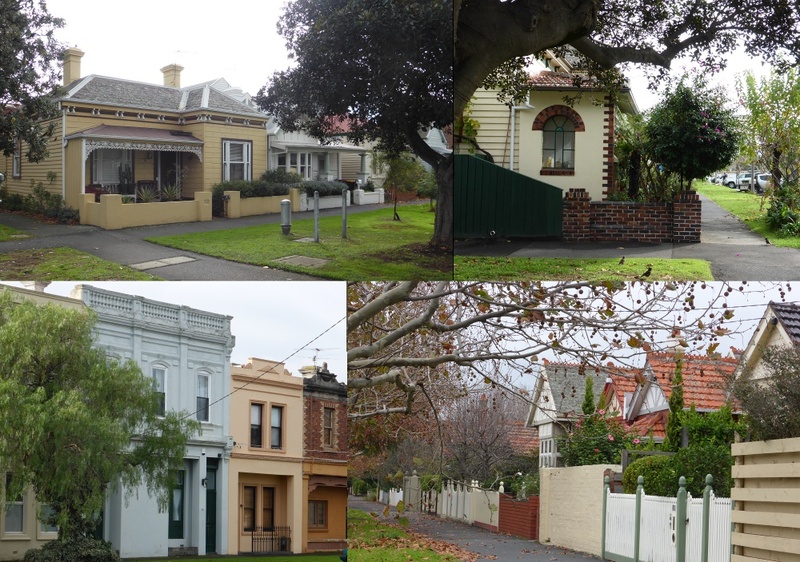 The houses in this area may be a bit small for the Australian dream but for a trendy, near-city lifestyle near the beach they have become like gold, I can imagine this community will fight tooth and claw to preserve what they have and so they should. Unsurprisingly the small parade of shops that used to be little more than a convenience store and a laundry are all rather boho and the trendy looking cafes could offer a coffee in whatever blend of bean and milk is in style this week. To complete my journey I then biked across into Albert Park, the protective green barrier that keeps Middle Park tucked away from the rampant development of Melbourne. 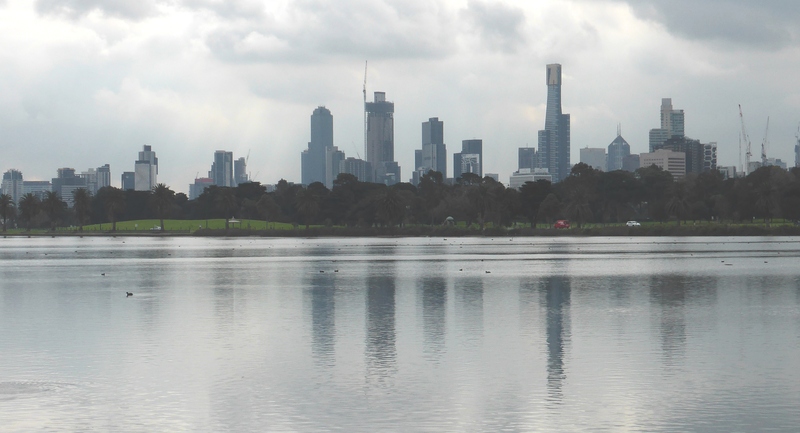 The city is ever present on the skyline but this large park and its attractive curved lake have been an escape for city dwellers for 150 years. It is still covered in the sports pitches, playgrounds and barbeque points that made it a green escape for the area. I walked to work through this park, something I regarded as a real treat then. 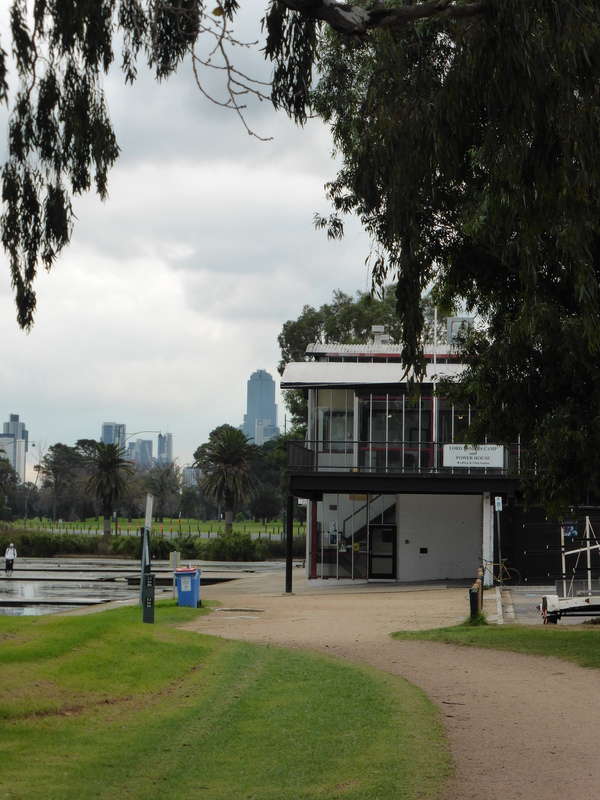 I had expected Albert Park to be damaged by its current role as the home of the Australian Formula 1 Grand Prix but it was not immediately obvious as the main features of the park are still the lake and sports pavilions. The only “monstrosity” I discovered at one end was the Formula 1 paddock which is a horrible lump of grey. I find it hard to believe that Australia doesn’t have one architect of note who could have done something sympathetic in this setting. 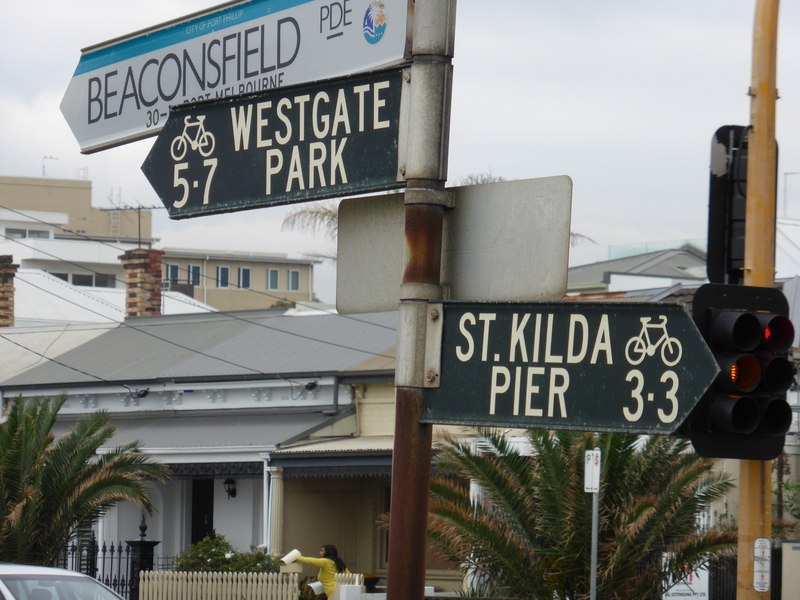 Beyond the park are Queens Road and St Kilda Road, the noisy arterial roads that runs south from Melbourne’s central district with a long line of high rise offices and apartments that have highly valued views over the park and beyond to the sea. I used to work in St Kilda Road and our 14 storey office block had the most amazing 360 degree panorama, something to make work interesting almost every day, although as a junior sprog I never got remotely near one of the privileged window seats. A few buildings crowd around it now but I bet the top floor is still in demand. 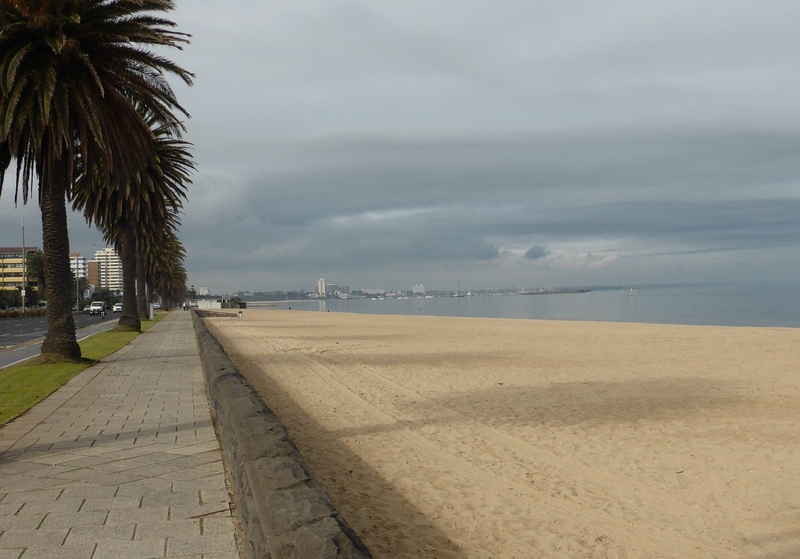 Once I had completed a lap of Albert Park Lake I was completely refreshed and I drifted back through Middle Park to the beach front where I had my bonus dolphin encounter before riding back to the city. I was much more tolerant of the noise, traffic and congestion on my way out because I felt uplifted by my bike ride and my journey back in time. I am not sure that three twenty-somethings all on their first salary could afford to rent in Middle Park now. But I have to reflect now that I was so lucky to find a house share in this area as a naïve young bloke new to Melbourne. Even back then I could have lived in the bustling city centre or a happening suburb but the first advert I spotted put me this gentle neighbourhood a short walk from work, park, rugby club and beach. 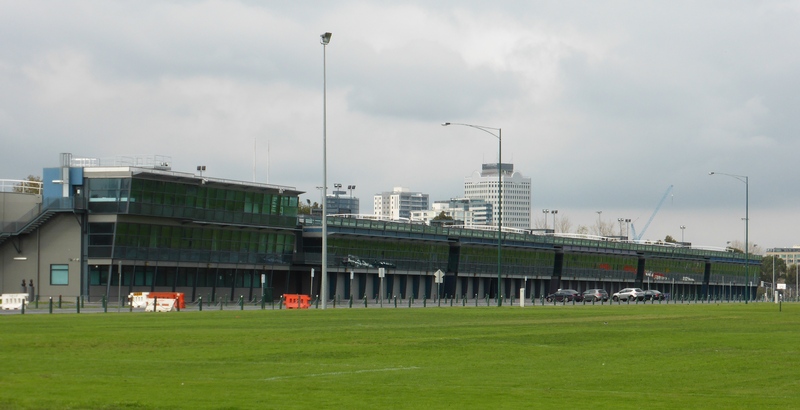 I am so glad it is still there now and I hope Albert Park and Middle Park will be protected for years to come. If they are I despair a lot less about the future of the human race in Melbourne. 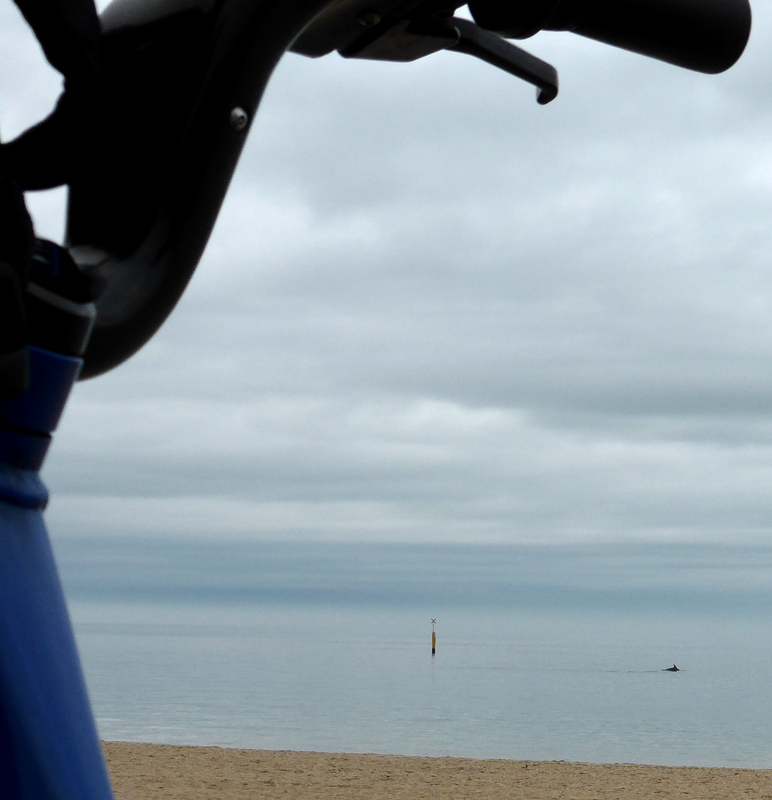 Not two words often combined – cycling and dolphins. I have had not one but two encounters with these beautiful creatures and both times it happened while cycling. I am sure some readers come from places where they are common but for me they are an extraordinary treat, a fascination from nature programmes on TV since childhood. 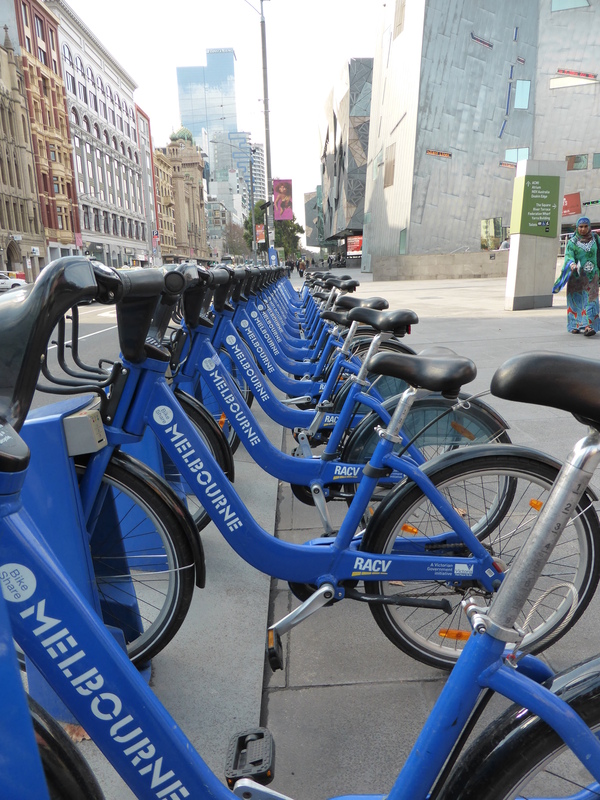 On Monday I took a Melbourne bike share bicycle out from the city to revisit the area I lived nearly 30 years ago when I was working in the city. 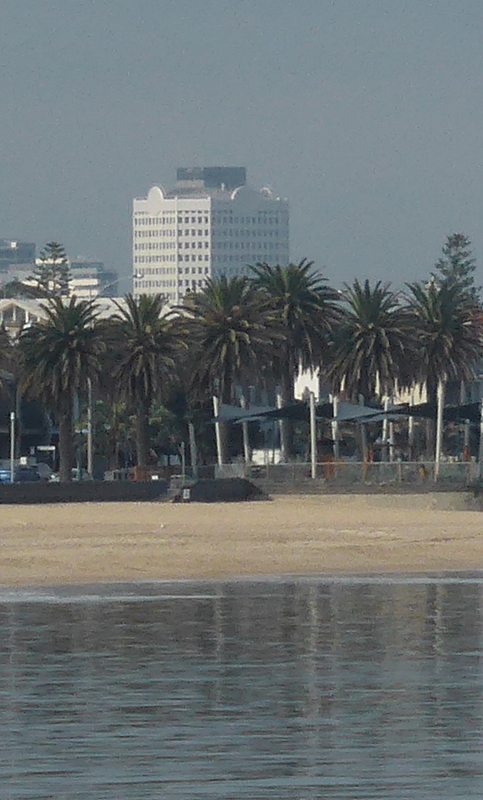 I was returning along the beachfront cycle paths in Middle Park when I spotted the few people on the beach were staring out to sea and taking photos. I couldn’t pick up what it was while riding but I assumed an interesting boat or some divers so I stopped against the beach wall. I was absolutely delighted when I realised that there was a small family of dolphins, two adults and a youngster, circling around about 200 metres off shore. The water was millpond smooth on the almost windless afternoon so every ripple was visible. Sadly they never jumped right out of the water but I spent nearly 15 to 20 minutes watching and trying to coincide my photos with the places they surfaced. I was told there were dolphins in the bay when I lived here before but despite coming to this beach to run or swim for much of that year I never saw them. They cannot be that common off these beaches because their appearance was reported in a local paper the next day so I felt even more privileged. However the notorious West Coast sandflies soon discovered their own free lunch and despite the prodigious amounts of deterrent spray we were about to give up when we had our magic moment. A little group of black and white dusky dolphins started surfing in the waves. They clearly seemed to be playing as they returned time after time in ones and twos to race in just under the wave crests. Then as quickly as they had come they disappeared with just a departing fin and a splash on the surface. On both these occasions I really feel I would not have stopped if I had been in a car or on a tour bus and I would not have recognised the dolphins at driving speed. Slow travel with the ability to stop and start almost anywhere is part of what makes cycling so special and I treasure my wildlife encounters almost as much as my human ones. I also perhaps wish I carried a bigger, higher quality camera when I am photographing animals because they are even more difficult than cyclists for reasonable images. But the quality of the photos cannot take away the memories and dolphin encounters remain rare and precious moments in my cycling life. 24 hour beach-front Italian café. All is good in the world. 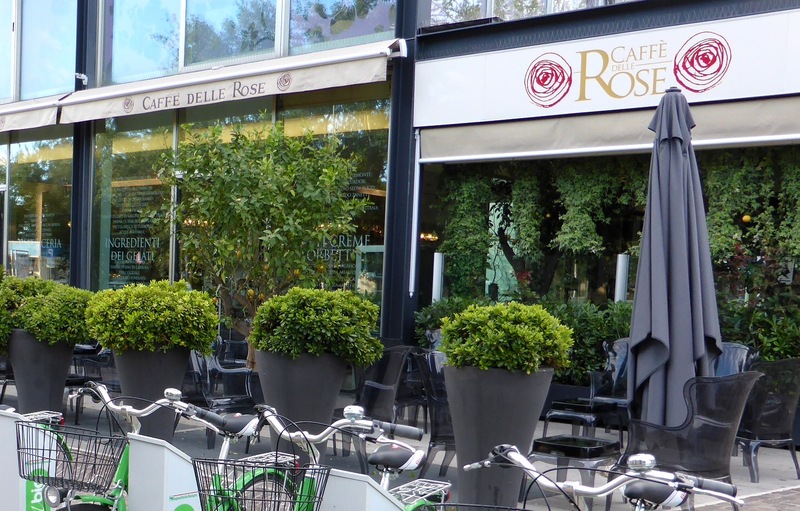 If I lived in Rimini I would spend a lot of time in the Café Delle Rosa. I am a morning person. (If you regard mornings as a torture inflicted on you personally by the devil you can probably ignore the rest of this post!). I wake relatively early when I am at home and in hotel rooms it is quite common that I am awake at four or five am. More than a few of these blog posts have been written in the early hours, but more importantly I think morning is the perfect time to be out in the world. The light, wildlife, tranquillity, empty roads all add up to a great time to see a place or a country. Here in Rimini the view from my room to the mountains of the Marche was just so much sharper in the morning it was tempting me out immediately. The frustration with that is that I am also a breakfast person and waking up in a hotel where I cannot even get a coffee until 7.30 am can really takes the shine off an early wander. 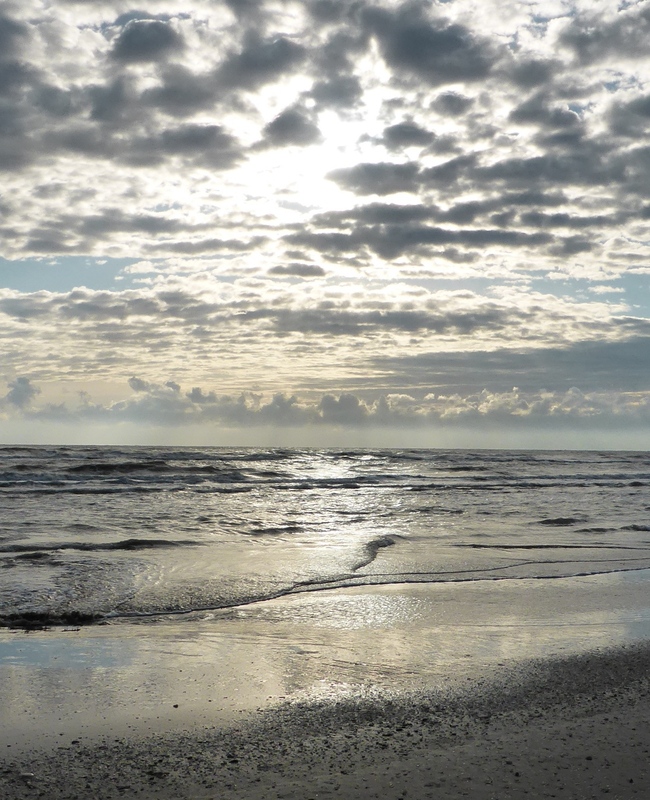 As a chilly morning started in Rimini I was tempted out of my hotel room by the prospect of a walk and a chance to catch the beach while it was deserted. 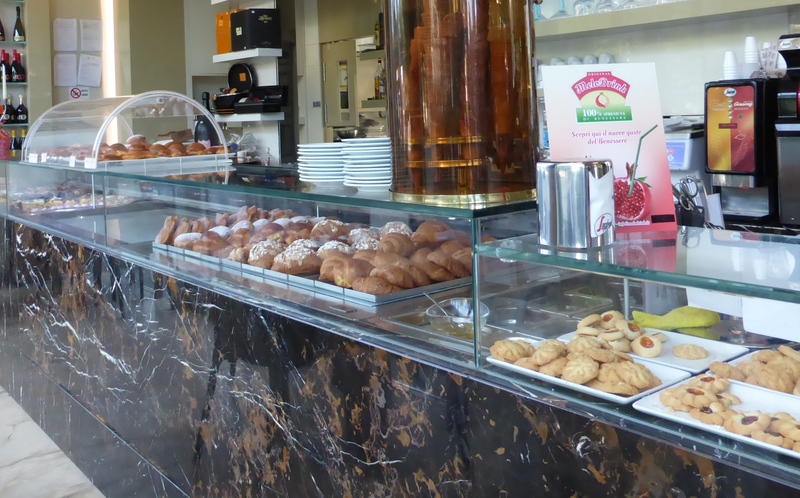 To my joy I discovered that close to the sea front was this wonderful 24 hour café serving delicious fresh pastries and confirming why the coffee machine is perhaps Italy’s greatest gift to the world. (More than Campagnolo?….now there’s a debate.) I needed some “me-time” and a passed almost an hour sorting out the world in my head. I cannot imagine that I would ever want to live in a place that has 7 million visitors a year and in peak season sells its beach by the square metre. But if I did I would come down here on one of the shared Rimini bikes that have a parking point perfectly positioned in front of the café. My only dilemma would be whether to walk and cycle along the beach before or after my coffee. Stepping outside my hotel at the ECF AGM in Dublin I cannot help but smile. Aren’t cute pets what the internet was invented for? 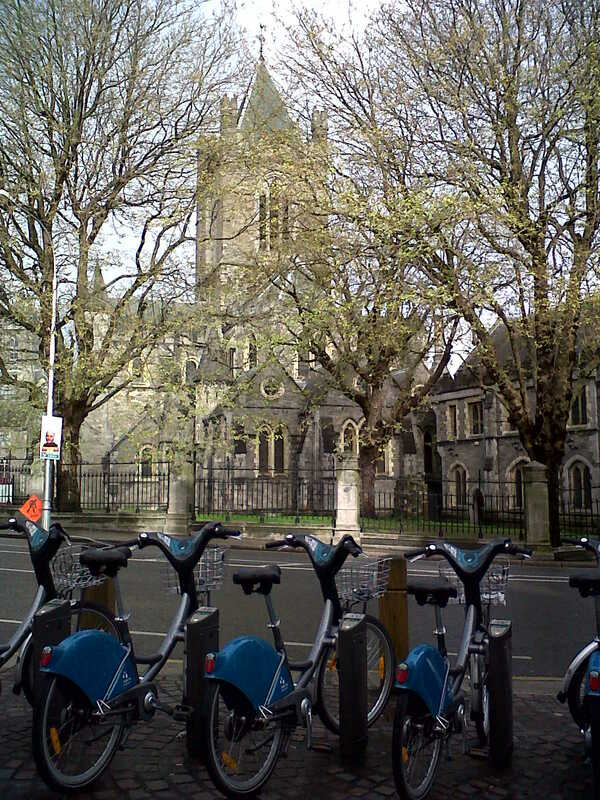 And just nearby the Dublin bikes are waiting for action in front of the historic Christchurch on a lovely spring morning.